When tens of thousands of race fans visit Indianapolis Motor Speedway for one of NASCAR’s biggest races of the summer, one name will stick out among the rest. Come race day, not only will fans recognize the name within the Crown Royal Presents the “Your Hero’s Name Here” 400 race title, but they will also understand the reason why Jeff Kyle is being honored as an American hero. Today in his home state, during a special reveal event at the Texas Rangers game, Kyle was announced as the winner of Crown Royal® Canadian Whisky’s annual “Your Hero’s Name Here” program, which awards naming rights to the NASCAR Sprint Cup Series race at Indianapolis Motor Speedway to a deserving hero. As the program winner, Kyle’s name will be incorporated into the official race title, Crown Royal Presents the Jeff Kyle 400 at the Brickyard. Kyle, of Lorena, Texas, was deployed multiple times to Iraq and Africa while serving in the military for eight years. During his time with the 3rd Marine Division, Kyle received the Navy Achievement Medal for leading the first Marine detachment to transport a nuclear submarine through hostile waters. 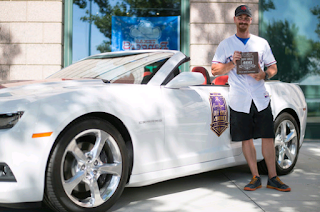 After leaving the military, Sergeant Kyle has dedicated his life to helping his fellow servicemen and women through his tireless efforts to bring awareness to veterans’ needs. Kyle advocates for veterans across the nation and provides support through his involvement with a handful of organizations. 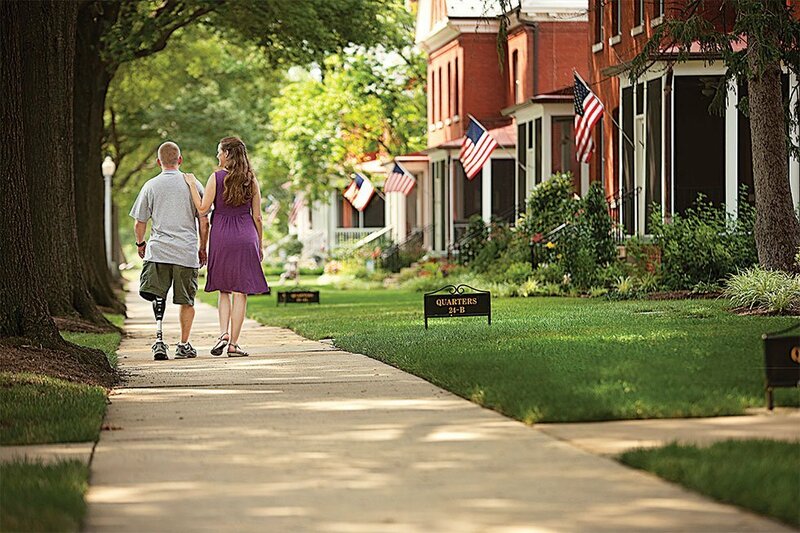 A board member of the Guardian For Heroes Foundation, Kyle oversees the stewardship of the charity which provides free, in-home fitness equipment, health club memberships, personal training, life coaching and support for the disabled. 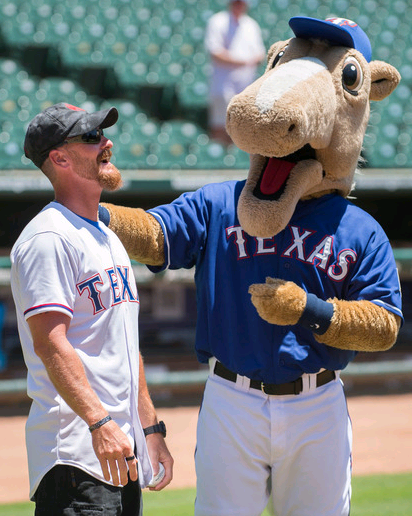 He also plays a large role with American Valor, the foundation which runs the memorial benefit to honor his brother, CPO and U.S. Navy SEAL Chris Kyle*. In addition, Kyle is one of the founders of Texas Elite Tactical Academy and trains individuals about firearms safety through his passion to educate those in a safe environment. 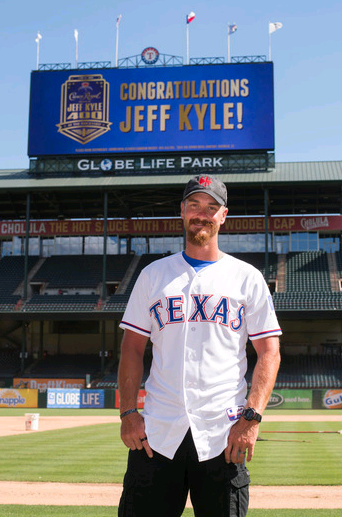 Today at Globe Life Park in Arlington, home of the Texas Rangers, over 29,000 fans witnessed the announcement of Kyle as the 2015 “Your Hero’s Name Here” winner as the official race logo incorporating his name was unveiled during the pre-game festivities. As Kyle made his way to the mound to throw the honorary first pitch, the logo was displayed across every screen within the stadium. 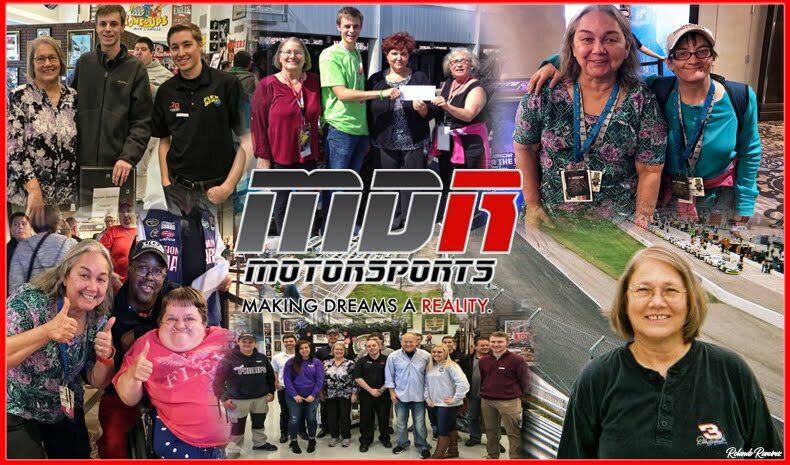 After the monumental moment, Kyle was greeted off the field by his closest family and friends who surprised him in celebration of the honor, alongside representatives from Crown Royal and Indianapolis Motor Speedway. Kyle’s wife and parents were in attendance, as well as Kyle’s personal hero and nominator for the program, 2014 “Your Hero’s Name Here” race namesake and Green Beret John Wayne Walding. This will mark the ninth time the Crown Royal brand has awarded NASCAR race naming rights to an adult fan. After receiving hundreds of entries during the nomination period, five heroes were chosen as finalists and adult fans had the opportunity to cast their votes for the person they felt was most deserving of the honor. In addition to Kyle, program finalists included: Benjamin Parker, retired Army Staff Sergeant from Cincinnati, Ohio; Hector Manley, community leader from Bonita Springs, Fla.; Brendan Marrocco, retired Army Sergeant from Staten Island, N.Y.; and Margy Bons, founder of the Military Assistance Mission from Phoenix, Ariz.
As the “Your Hero’s Name Here” winner, Kyle will receive the ultimate VIP race weekend, including garage tours and pace car rides before delivering the trophy bearing his name to the race winner in Victory Lane. Crown Royal reminds consumers to please drink responsibly. * NASCAR Race Mom just watched the Movie Based on the story of Jeff Kyle's brother's sacrifice. While the film takes several dramatic liberties with the story; I was moved and educated by this work. 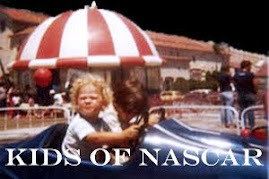 NASCAR has always treasured the family aspect of the sport and this Father’s Day weekend the sport shines a bright light on the relationships between fathers and their children. Below is a look at some of the active drivers this weekend at Chicago and their fathers that have also participated in NASCAR. One of the most famous father-son duos in the NASCAR XFINITY Series today is JR Motorsports driver Chase Elliott and his father NASCAR Hall of Famer Bill Elliott. Both have had careers that are quite impressive, though Chase is the only one with a NASCAR XFINITY Series title. Bill Elliott’s career was primarily focused on the NASCAR Sprint Cup Series but he did moonlight in the NASCAR XFINITY Series 43 times, posting one win (Watkins Glen), eight top fives and 18 top 10s. In Chase Elliott’s short career he has started in 46 series races posting three wins (Texas, Darlington and Chicago), 22 top fives and 37 top 10s. Or how about Richard Childress Racing and how they have made competing in NASCAR a family affair. Richard Childress is the grandfather of drivers Austin Dillon and Ty Dillon and the father-in-law to Mike Dillon, Austin and Ty’s father. 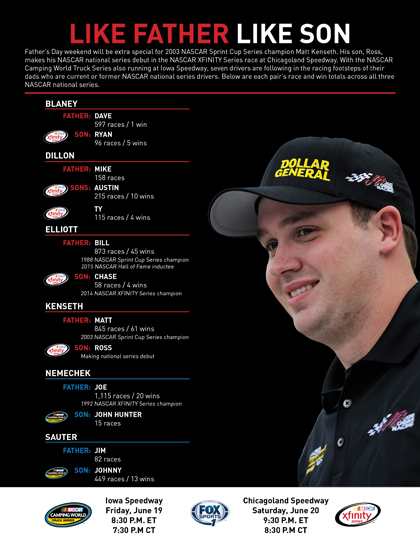 All four men have competed in NASCAR’s national series competition and continue to work in the organization today. Richard Childress made 285 starts in the NSCS and Mike Dillon has made 154 NASCAR XFINITY Series starts, posting three top fives and 15 top 10s. Austin Dillon has made 88 NASCAR XFINITY Series starts, posting one championship (2013), four wins, 38 top fives, 62 top 10s and 14 poles. He also won the 2011 NASCAR Camping World Truck Series title. Ty Dillon is currently second in the NXS standings. His series-career has seen 58 starts with one win (Indianapolis), 11 top fives and 37 top 10s. Another driver following in his father’s footsteps is Ryan Blaney. Ryan’s father, Dave Blaney is a renowned dirt racer that has competed in all three NASCAR national series (just like his son). Dave Blaney has made 121 NXS starts posting one win (Charlotte) and 31 top 10s. Ryan Blaney will be back in the No. 22 Ford for Team Penske this weekend. Blaney has made 34 NASCAR XFINITY Series starts, posting two wins and 26 top 10s. 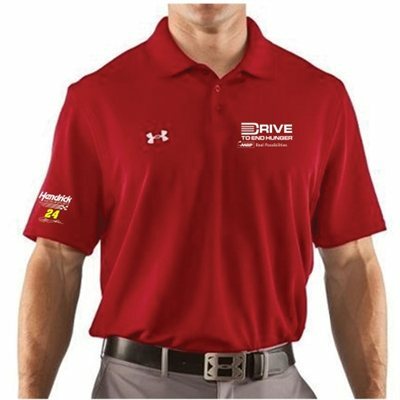 NEW LINE OF DRIVER POLOS! All us NASCAR Nuts have our favorite driver t-shirts. 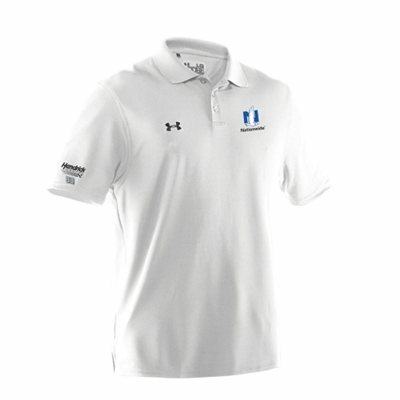 However, now, just in time for Father’s Day, you can order your own Driver Polo. 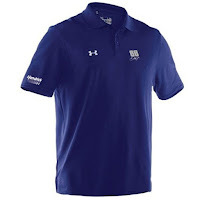 Make sure dad looks official at the track this summer in his very own driver polo. These new lines of driver polos by Under Amour and Chase Authentics are constructed with top of the line material and feature high quality graphics. How do you celebrate your favorite NASCAR driver ? By wearing this Performance polo from Under Armour wherever you go! Cheer loud and proud for your favorite driver. Artwork is for placement only. Final design elements may change pending approvals. 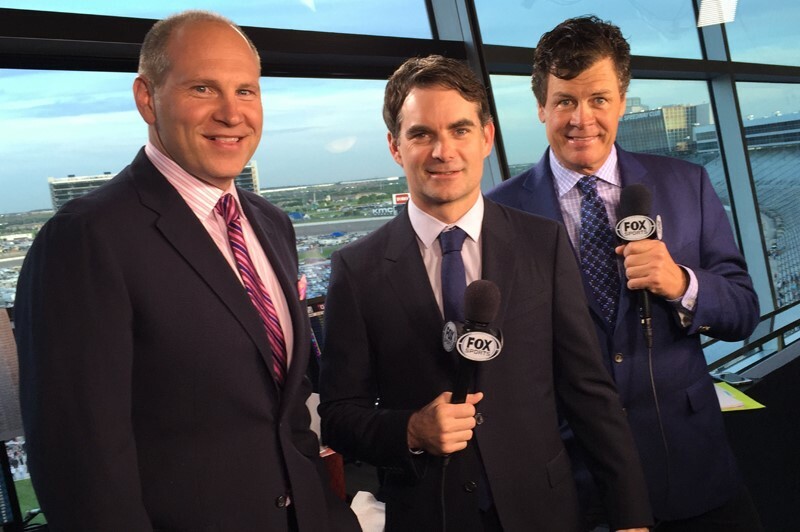 Jeff Gordon, the four-time NASCAR Cup Series champion credited with helping take the sport mainstream, joins FOX NASCAR fulltime in 2016 as race analyst for its 16th year of NASCAR SPRINT CUP SERIES coverage, teaming with three-time champion Darrell Waltrip to offer seven championships’ worth of expertise. Gordon, currently competing in his 23rd and final full-time Sprint Cup Series season, served as race analyst for FOX Sports’ coverage of three NASCAR XFINITY SERIES races this year (for video of Gordon calling the Talladega NASCAR XFINITY SERIES race, click http://foxs.pt/1INsvsY). 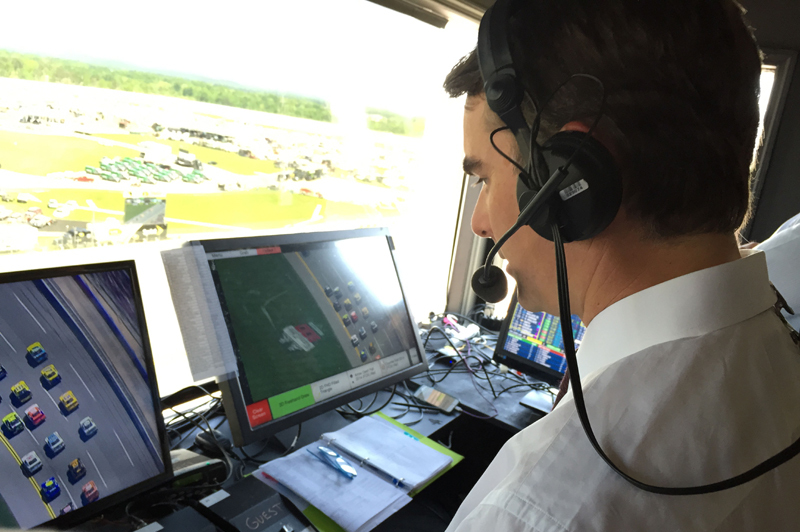 He has agreed to a multi-year contract that begins this season with in-race reporting from the No. 24 Chevrolet during select Cup Series races, and segues to an analyst role that commences with Daytona Speedweeks in February 2016. Gordon will call all NASCAR SPRINT CUP SERIES races, practice and qualifying sessions for FOX Sports alongside play-by-play announcer Mike Joy and NASCAR Hall of Famer and analyst Darrell Waltrip. Chris Myers hosts the network’s coverage alongside analysts Larry McReynolds and Michael Waltrip. 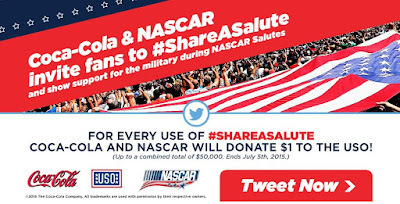 The Coca-Cola Company and NASCAR invite fans to Share A Salute and show support for the military during #NASCARSalutes. 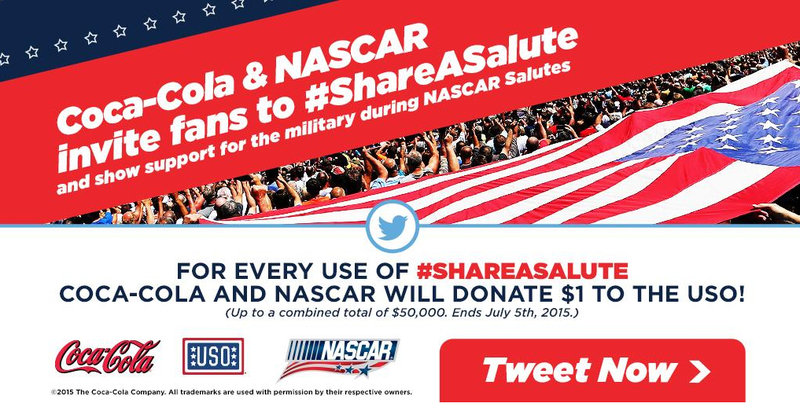 For every tweet sent with #ShareASalute, a dollar will be donated to the USO (up to $50,000) – or you can make your own donation below. 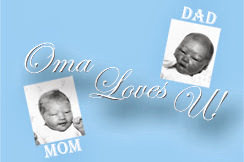 United Service Organizations, Inc. (USO) is a private, non-profit 501 (c)(3) organization chartered by Congress. The Petersen Automotive Museum proudly announces several new partnerships with some of the world's most prominent brands, including BMW, Maserati, Ford Motor Company and Lucas Oil. 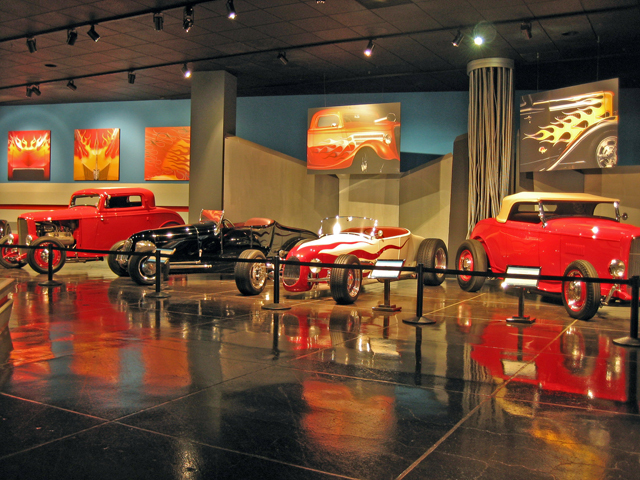 These companies join Microsoft's Forza/Xbox brands, the Automobile Club of Southern California, and Belkin's Linksys division as valued supporters of the museum's re-birth. When the totally transformed museum reopens to the public in December 2015, its world-class partners and innovative use of state-of-the-art connectivity and multi-media will set a new international standard for automotive museums. 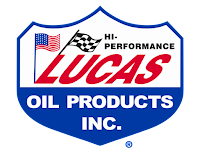 Lucas Oil is a leading manufacturer of petroleum additives and oils for high performance engines. 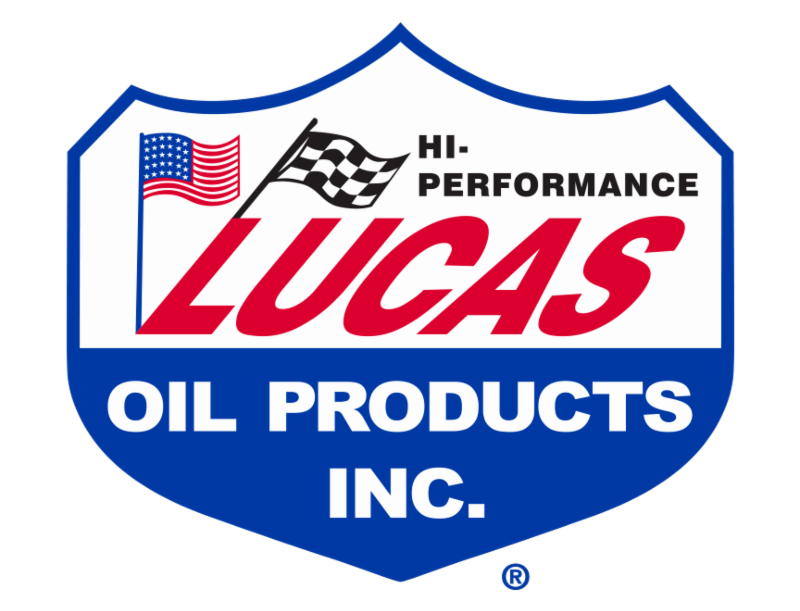 They are proud sponsors of the Petersen Motorsports gallery. The Italian company, Landi Renzo, is a maker of eco-friendly engines best known for its compressed natural gas (CNG) powerplants. They will as sponsor the Petersen's Alternative Fuels gallery in its opening year. Since 1994, The Petersen has been the benchmark for automotive museums. 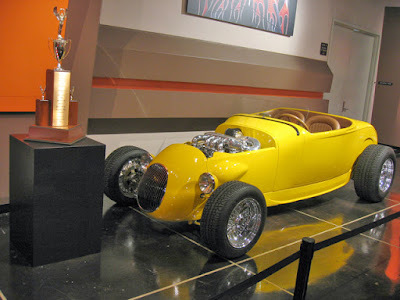 Its diverse vehicle collection, diorama-based Streetscape, and educational-outreach programs effectively communicated how the automobile impacted life in Southern California and beyond for over 20 years. As technology and visitor expectations evolve, the museum has reinvented itself to deliver a new experience. The New Petersen will meld the art and engineering of history's fastest and most beautiful automobiles with cutting-edge technology, including augmented reality and realistic simulators to redefine the 21st century museum experience. The Petersen is currently on schedule to complete its year-long total transformation in December 2015. 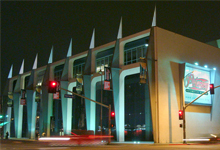 The Wilshire Boulevard building, the western entrance to "museum row," promises to be one of the truly iconic architectural designs in Los Angeles. Museum announces partnerships with top global brands that will introduce innovative new technologies and fine art exhibits, experiences never before seen in a museum setting. For general Museum information, call 323/930-CARS or visit the Museum's Web site at: www.petersen.org.